Cars to haircuts to allow care at home for short hair. Due to the fact that the set comes with several different nozzles, the length of cut hair can be calculated to the millimeter. However, to work with the machine for the cutting of hair was not observed "surprises", it needs to be adjusted. Please carefully read the accompanying user manual. As a rule, this technical documentation gives practical recommendations related to the safe and correct operation of the device. All operations related to the adjustment of machines for shearing hair, adjust only after personally make sure that the device is de-energized. If the machine is for shearing runs on rechargeable batteries, remove them before proceeding to the adjustment. Adjust the machines for clipper blades and tension. Of course, different models of hairdressing devices have certain characteristics, but the principle configuration of these components is practically identical. To adjust the blades, check for the start location. The upper edge should be from 0.8 to 1.6 mm relative to the lower. If further adjustment is required on this element, loosen the bolt that holds the lower blade, and adjust its location. To adjust the tension, turn the handle anti-clockwise (turn until a slight resistance). In no case should not turn the knob by force. If blade is dirty or has accumulated on them fine hairs, in any case, don't give a machine for shearing in water. 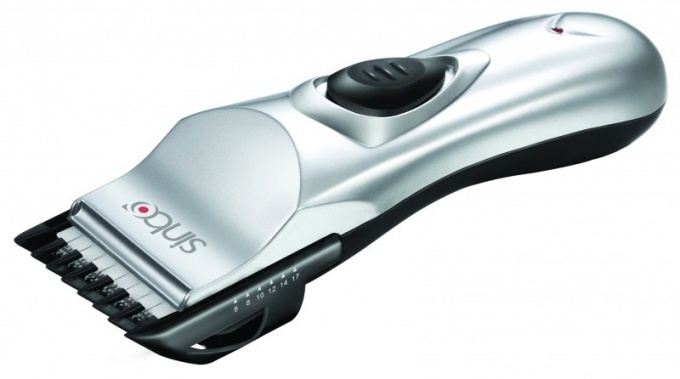 To set this hair styling instrument with a soft brush, which can be used to efficiently clean the blade. In any case, do not use the clipper in the case of malfunctions in the operation of this device or after his fall. Within a certain time after the purchase of the cars this device is on the warranty, so any operation (twisting, untwisting, etc.) must be in engineering.